First off, I am in L O V E with this look. 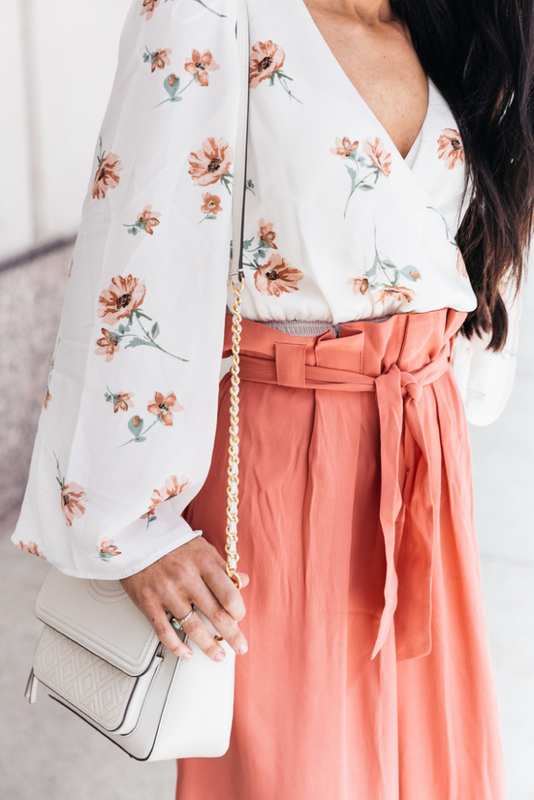 I felt so beautiful and feminine in these flowy and gorgeous pieces! 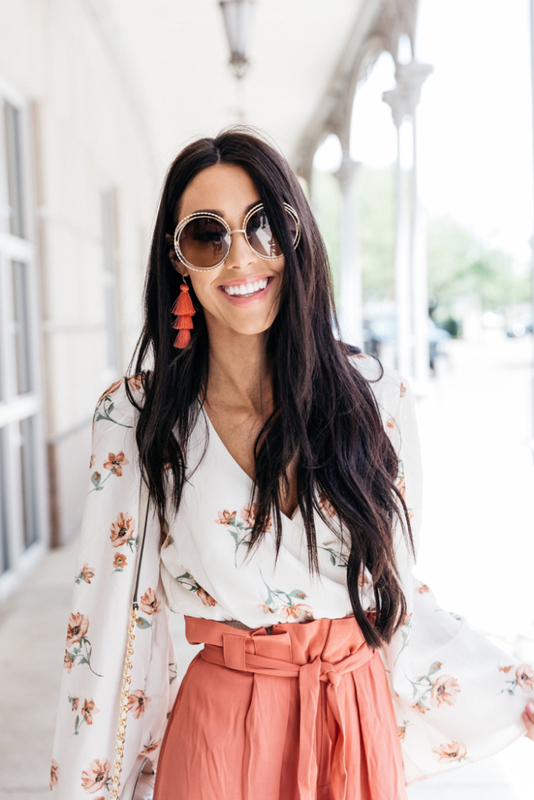 I shot this outfit back while I was in Texas for the RewardStyle event. I had the best time with my gal pals, catching up and learning all about the new trends coming our way! I’ve linked several different flare bottom pants as well as bell sleeved tops and other flowy tops that would go great with pants like these! I have really pushed myself out of my comfort zone and started wearing more color, which by the way was the best decision… ever! Our summer is already off to an amazing start. And there is so much more to go! I’m wanting to make a summer bucket list for me and the babies to do, so if anyone has any suggestions, send them my way. I love to do fun things with the babies that the whole family can do. Lately, we loved rollerblading around a park. Mason is obsessed with his bike and is SO good at it! There’s nothing better as a mom than seeing your kids so happy and proud of themselves!